NEW ORLEANS – Everyday heroes walk among us and are rarely recognized for their efforts. But when Louisiana Airmen save three lives in one day, ensuring a bride gets to see her dream wedding … these Citizen-Airmen deserve credit for their valor displayed while faced with chaos. It was supposed to be a relaxing day for members of the Louisiana Air National Guard’s 159th Security Forces Squadron, deployed to Volk Field, Wis., — a brief moment of down time spent on a lake in between annual training requirements. 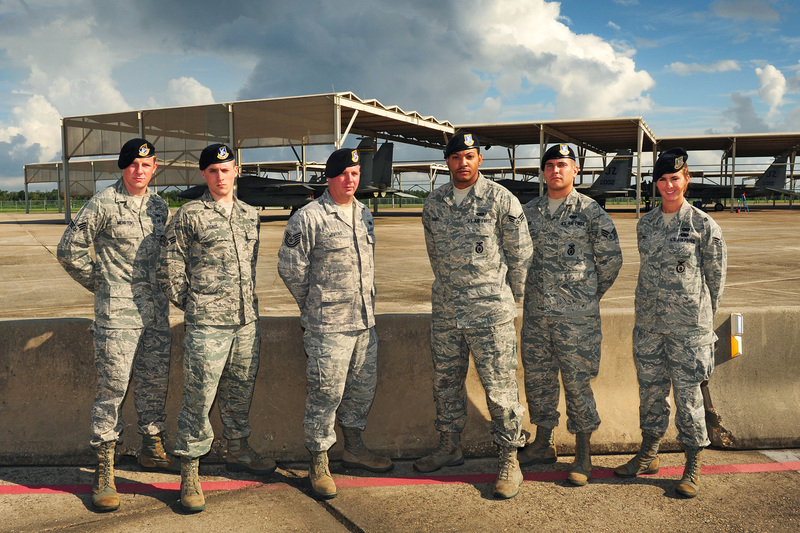 This day, however, tested these Airmen in ways they could not have imagined and profoundly impacted the lives of those involved in the rescue of several distraught citizens. On June 16, several Louisiana Airmen rented a boat intending to cruise around Castle Rock Lake in Wisconsin during their one day off while attending nearby Volk Field’s Combat Training Readiness Center. They anchored their boat near an island to fish and relax. After a few hours, a boat with a group of women celebrating a bachelorette party pulled up near them. As the Airmen were enjoying themselves, one of the women jumped into the shallow water, not realizing it was extremely shallow. She quickly surfaced covered in blood and screaming in pain. Without hesitation, the Airmen rushed to her side. Senior Airman Raenell M. Dubroc, 159th Security Forces Squadron fire team leader, recalls seeing a second woman dive in, head-first, from the boat but instead of reacting to the trauma of the fall, she just floated motionless to the top of the water. “My first thought was that this isn’t good. I honestly thought she might be dead,” said the Mandeville, La., native. “I knew she was badly hurt and thought she may have broken her neck,” said Senior Airman Mark E. Lier, 159th SFS fire team leader, who also rushed to the victim’s side. In total, seven Airmen rushed to render aid to the women. Tech. Sgt. 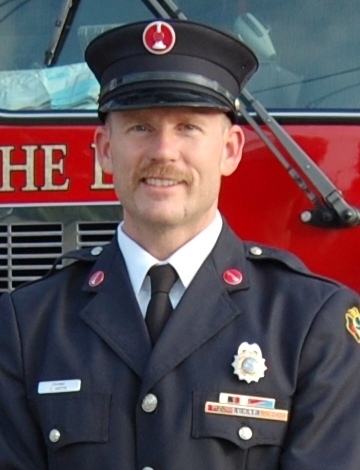 Edward J. Griffin, a trained medic, was credited with creative, quick thinking by ensuring the victim was stabilized and calm throughout the rescue. Griffin, who resides in Orlando, Fla., is an air space medical technician with the 159th Medical Group assigned to the Chemical, Biological, Radiological, Nuclear and high-yield Explosive Enhanced Response Force Package (CERFP), and was accompanying the Security Forces members training on this eventful day. “We used her arms to stabilize her spine, rolled her over and lifted her onto the boat,” said Griffin. He used a life vest as a make shift cervical collar and floatation noodles to stabilize her body. “I conducted a neurological assessment and knew it was critical to get medical attention immediately,” said Griffin who was also aware due to his assigned job responsibilities for this training event, there was limited medical response in the area. He said the boat ride seemed to take a long time as they were trying to keep the ride slow and steady to not further injure the woman. Senior Airman Steven Mehrtens, 159th SFS fire team leader, from Metairie, La., spoke highly of this team’s ability to improvise and care for the injuries. Mehrtens and Lier captained the boat with the women while Griffin talked to the victim with the most severe injuries and kept her calm. Tech. Sgt. Reese Jenkins, 159th SFS squad leader, captained the 159th SFS boat and followed the victims’ boat. While calling for local emergency response and traveling to a safe area where help could be provided, an unidentified male civilian fell off the victim’s boat. The man sustained a head injury and Jenkins had to rescue him as well. Once he stabilized that victim, Jenkins, who resides in Walker, La., and is a Baton Rouge Police Officer, continued following the other boat. The traumatic events of the day left the Airmen shaken but were grateful that a local venue held a barbeque in their honor that evening after hearing about their heroism. The injured woman, Katie Wahl Johnson, celebrating her bachelorette party, fractured two vertebrae in her neck, shattered a third and sustained a spinal cord injury. She was airlifted to the University of Wisconsin Hospital where she underwent a six-hour surgery. She was then sent to the Rehabilitation Institute of Chicago for recovery. Senior Airman Jared M. Vignes, 159th SFS fire team leader, says their Security Forces training definitely helped their reactions that day. “It’s not something that I think about on a daily basis … how all of this training makes me a better person, but now that this happened, I am glad that I know how to react,” said the Mandeville, La., native. Johnson was paralyzed from the chest down and has only partial use of her hands but she is incredibly grateful to these heroes who she says saved her life and is looking forward to speaking to them personally in the upcoming weeks. 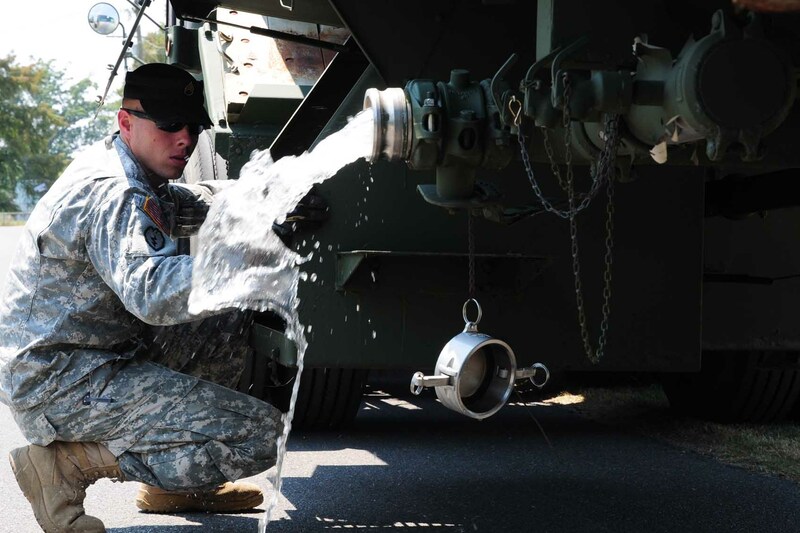 “Everyone should have some basic lifesaving skill sets,” said Senior Airman Russell C. Gary, 159th SFS fire team leader, when asked what he learned from this experience. “You never know when you will have to keep someone alive,” said the New Orleans native. Katie’s father, Bill Wahl, has been adamant in his pursuit to find the people who helped his daughter on that fateful day. He persistently contacted the training center and recently made contact with the 159th Security Forces Squadron Commander, Maj. Sean Conroy. 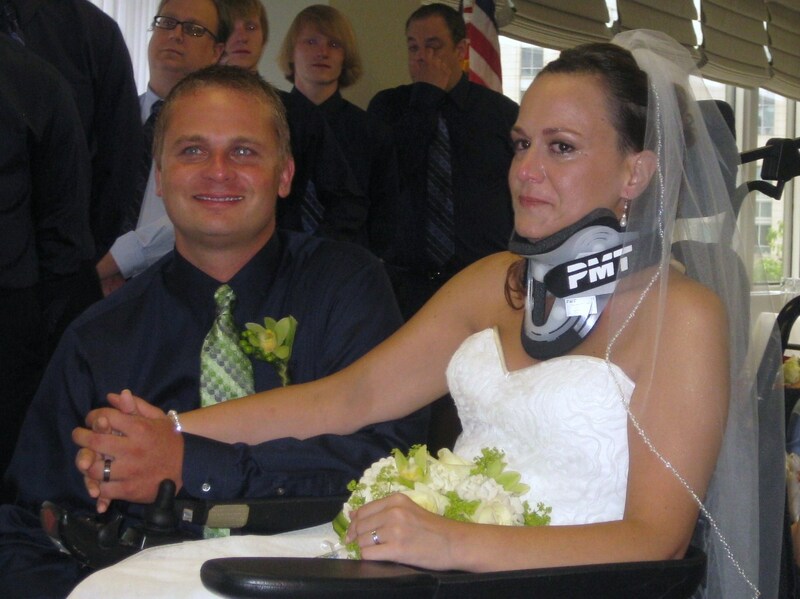 Katie and her fiancé, Jeremy Johnson, were married in a conference room at the Rehabilitation Institute of Chicago, July 14, in what Bill says was the wedding Katie dreamed of having surrounded by friends and family. “It was a beautiful wedding,” said Wahl who says it is still very emotional for him to discuss the events but who is eternally grateful for the quick response of these Airmen. The Airmen were thrilled when they read the Chicago Tribune story, ‘In sickness and in health: a reality for Oak Park bride and groom’, this past drill weekend. They have kept Katie and her family in their thoughts since the day they rescued her. “My family and I thank you from the bottom of our hearts,” says Katie. She wants these Airmen to know that she is getting better every day thanks to their efforts. As traditional Guardsmen, this was the first time they have returned to their workplace and were grateful for updates on her condition. They, as most heroes do, don’t consider their actions heroic. They are just appreciative their skill sets were able to save her life and claim that anyone in their position would have done the same. The Airmen did have a final message for Katie. “Just let her (Katie) know that she is in our prayers, and we hope she continues to heal,” said Jenkins. 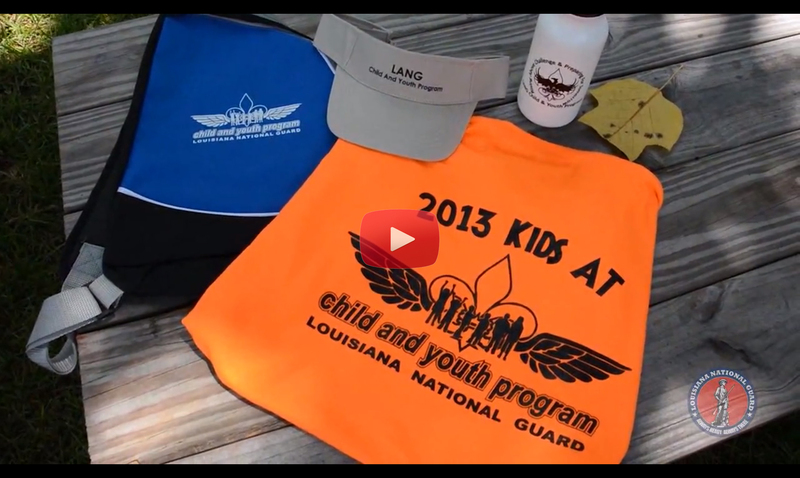 Please visit The Louisiana National Guard’s website for the latest Louisiana National Guard releases, photos and videos. Like us on Facebook, follow us on Twitter, Flickr, and YouTube!